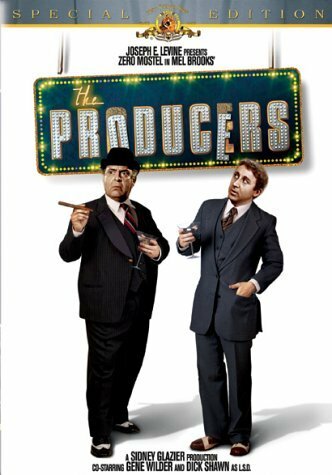 Description (from IMDb): After putting together another Broadway flop, down-on-his-luck producer Max Bialystock teams up with timid accountant Leo Bloom in a get-rich-quick scheme to put on the world’s worst show. This movie hurt my feelings because it was so awful. Okay, that’s a bit of an overstatement, but I did not like this movie. It was loud and obnoxious and I didn’t find it at all funny. I was surprised because I like Gene Wilder and I like Mel Brooks, but this movie just didn’t work for me. I don’t really have anything else to say about it, except that I was pretty close to turning it off halfway through and I’m not thrilled that I stuck it out! I’m sure this is considered blasphemy, but I cannot believe this is considered a comedy classic.